WAREHOUSE FIND! 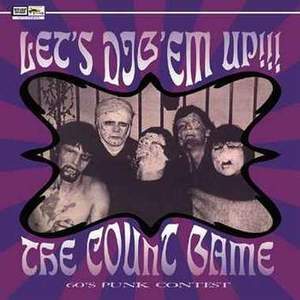 V/A" Lets Dig em Up Vol 2 - The Count Game" 17 track compilation of garage punk from all over the world, the States,UK,Belgium,Holland, . - LOW PRICE! Note due to age and storage the some of the covers have a very slight wave - no splits though - they still look great!